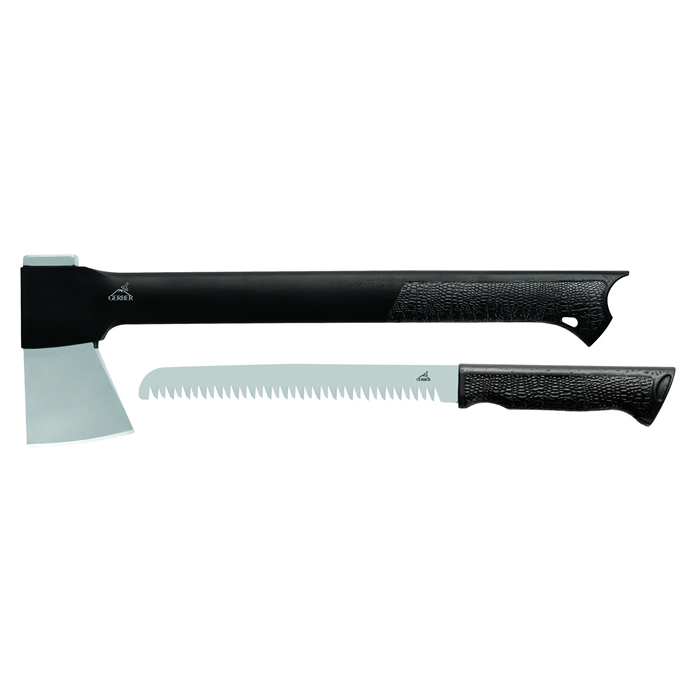 The Gator II is a compact all-conditions axe for the outdoor adventurer. Made with a longer handle than the original Gator, the advantage is a greater striking force with the stainless steel head. The handle is made of glass-filled nylon and covered in Gerber’s Gator texture. It offers a better and more comfortable grip in wet and muddy conditions. The handle also houses a coarse blade handsaw, held in place magnetically, for sawing branches and brush. It’s a rugged and lightweight camping essential. 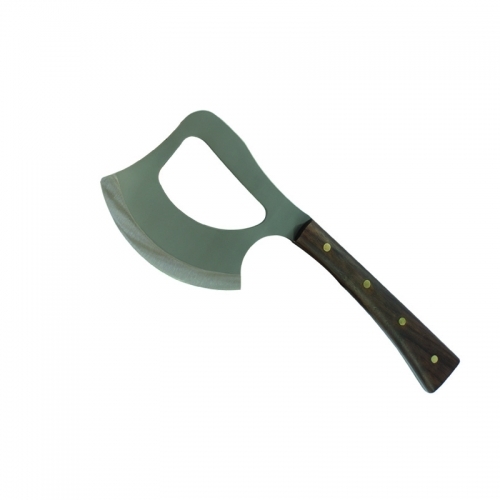 Forged steel head Gator grip handle Glass-filled nylon handle Axe: Overall Length: 15.60″ Blade Length: 2.70″ Weight: 26 oz. 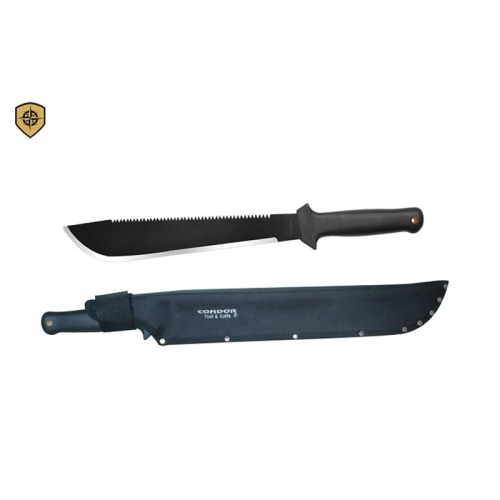 Head: Forged Steel Handle: Gator-Grip Saw: Overall Length: 10.24″ Blade Length: 6.10″ Weight: 2.40 oz.